On our way to meet up with some of his friends for a belated birthday celebration in Anaheim, Duc and I stopped at this Thai restaurant because he had been craving some. It was a hidden away place that was a bit difficult to find (Google Maps had said it was on one side but it was on the other) but once we got there, it was small and charming. 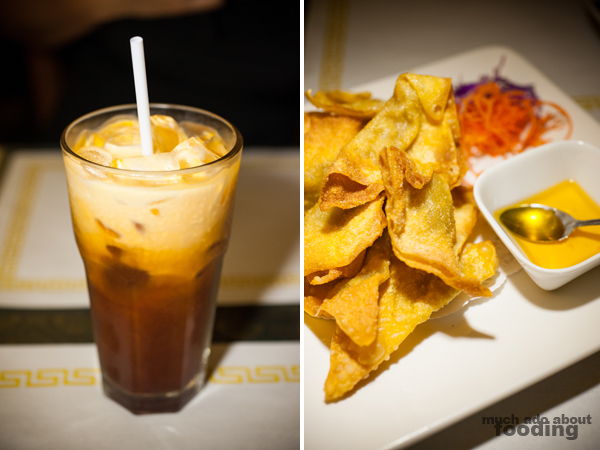 We started out dinner off with their Thai tea (true to form and scrumptious) and the fried Thai curry. we chose the latter because of the name - it sounded quite curious. What it was was dollops of their curry wrapped in wonton wrappers and deep-fried. Sound awesome? It sure was. I loved the tangy sauce it came with too! 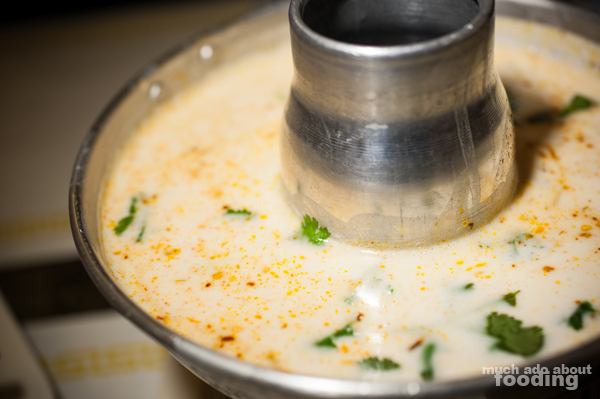 We got a hot pot version of their Tom Kha Gai (coconut milk, chicken, mushrooms, tomatoes,lime juice, chili and fresh Thai herbs) which came in a great bowl that was heated throughout. It was a little hard to scoop once it got to the bottom but we were at the bottom because it was delicious. I found it a bit too sour from the lime but I know that it was Duc's favorite for the night. Hearty and spicy, this was a soup for when you're sick or just need a warm pick-me-up. 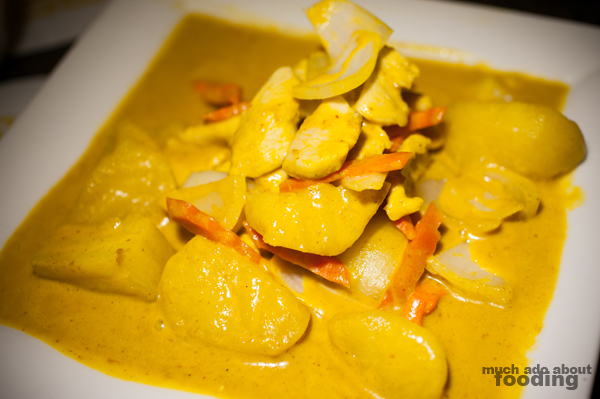 The other main entree was their yellow curry which was described as "mild hot slightly sweet with potatoes, onions, carrots, and coconut milk in yellow curry sauce," but really, there was no heat. They did their potatoes quite well where they were in the state between soft and firm (hoorah) and the curry sauce itself was flavorful (though not spicy). Unfortunately, I'll have to dock them for having carrots and onions still too raw and the chicken much too dry. 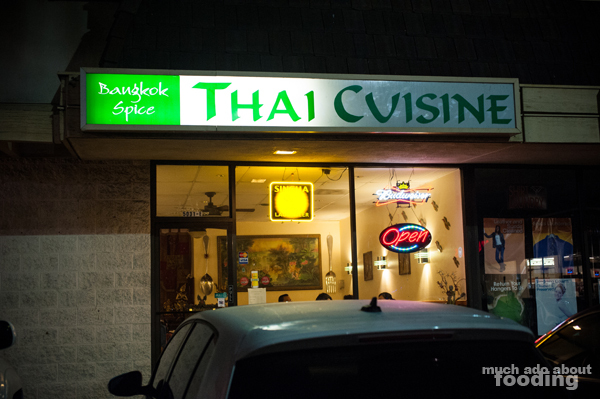 Overall, it was a quaint little family-owned place with an all Thai staff but there were some misses with their supposedly popular dish. Don't worry - I'd still come back. That soup needs a stomach to go into after all!